Document Compare API allows users who are reviewing content to cross-check new versions of a Word document against previous versions and track changes made between those two versions via API/HTML5. 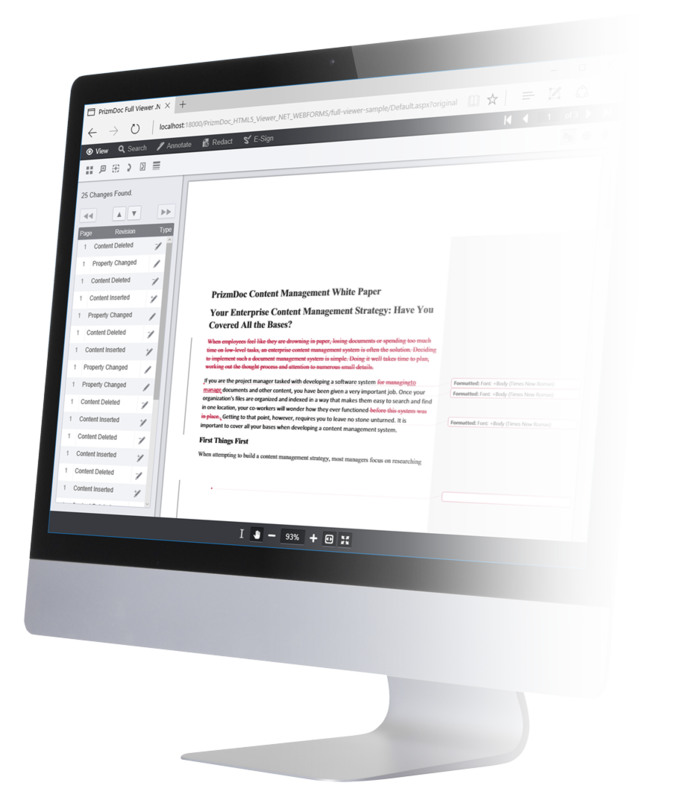 Any changes are visually marked in the HTML5 document viewer so users can tell at a glance what has been changed. Currently, Microsoft Word .DOC and .DOCX are the only formats supported by the document comparison API. Purchase of the Microsoft Office Conversion (MSO) add-on option is required to enable this feature in a Self-Hosted environment. Included in Cloud-Hosted.